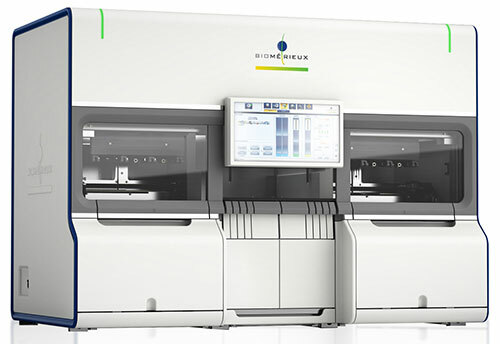 The eMAG® is a new molecular biology platform for the extraction of nucleic acids (DNA, RNA). This new system features automation from the primary sample tube, greater traceability, and higher throughput, in addition to an unparalleled degree of flexibility. The new eMAG system can be used with a broad variety of biological samples: whole blood, plasma, serum, stool, respiratory samples, and cerebrospinal fluid—extracting 48 samples in 90 minutes directly from a primary sample, handling all sample types in a single series. The eMAG system is CE-marked and available on the European and U.S. markets.